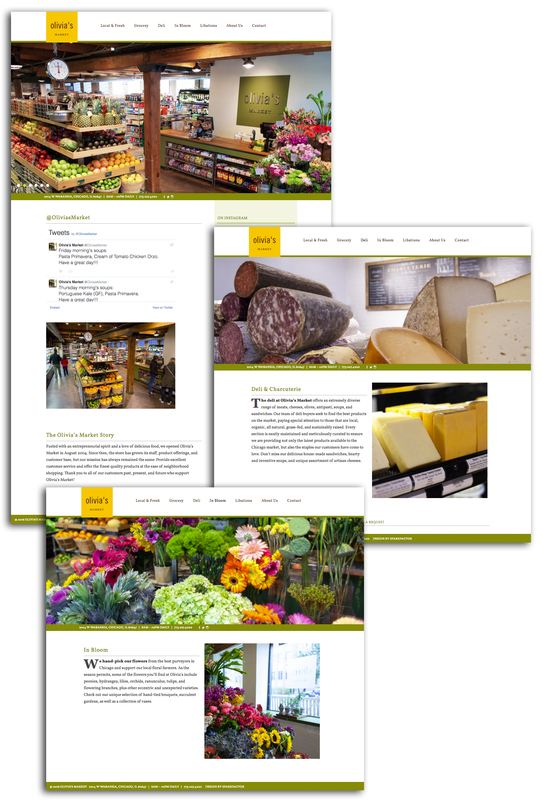 Olivia’s Market, a local Wicker Park favorite, came to Sparkfactor looking to refresh their website and make it mobile responsive. The photo-centric site focuses on what makes the neighborhood market stand out from the rest: a welcoming environment and distinctive products. Since the Olivia’s Twitter account is the source of the daily soup menu, we added a live Twitter feed to the homepage, so fans could easily tell which soup was available for the day. We also shot a Google virtual tour of Olivia’s to give neighbors and tourists alike an inside look at the market.